Having survived two crashes in Curtiss Pushers within nine months, Allan Loughead was not very keen on having a relatively heavy engine mounted aft of the pilot. Thus, while working as an instructor and exhibition pilot for the International Aircraft Manufacturing Company, he conceived a tractor biplane as the first aircraft to bear the Loughead name. Of fairly advanced concept for its day, the machine was completed as a floatplane in 1913 and, until 1918, when its builders dismantled it and sold its engine, it was a money-making venture for Allan and Malcolm Loughead. Of not many single contemporary aeroplanes could such a claim be justly made. Even though Allan Loughead had begun to have some wooden parts milled while he was working in Chicago, most of the work remained to be done when in early 1912 he joined forces with his brother Malcolm in San Francisco. Renting space in a small frame garage at Pacific and Polk Streets on the waterfront, the brothers worked on the aircraft during evenings and week-ends. Finally, with the formation of the Alco Hydro-Aeroplane Company, they obtained sufficient funds to complete the work and acquire a six-cylinder Kirkham engine. 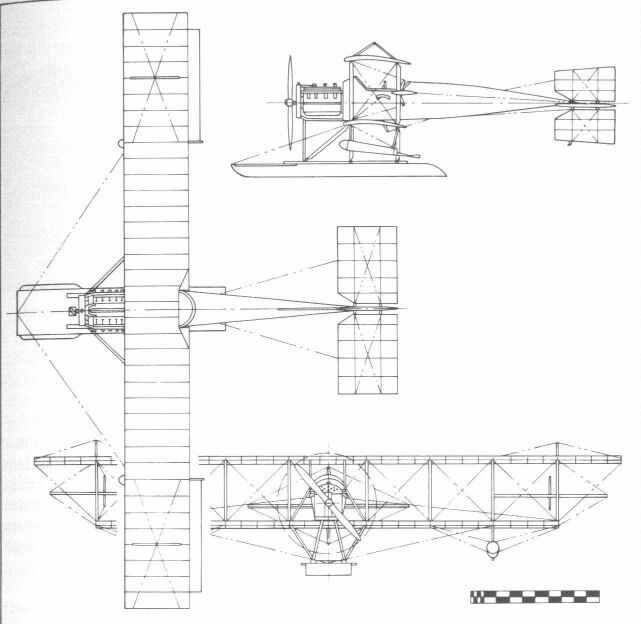 Of three-bay biplane design, with upper and lower wing spans of 46 and 36 ft (14-02 and 10-97 m) respectively, the aircraft had its ailerons mounted between the two wings, and cruciform tail surfaces hinged as a unit on a universal joint. * Beneath the forward fuselage was installed a sled-type pontoon, and cylindrical floats were attached beneath the lower wing. Accommodation was provided for a pilot and one, later two, passengers in tandem open cockpits located below and art of the top wing. 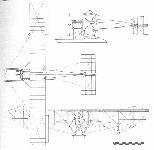 *) A three-in-one control arrangement was used, with the wheel operating the rudder, and the stick, to which the wheel was attached, operating the elevators and ailerons. Designated Model G, to imply that it was their seventh design, the seaplane at the time of its completion was powered by a Kirkham six-cylinder engine with a distinctive horseshoe-shaped radiator. However, this powerplant was unreliable and after fifteen minutes of ground running time its crankcase split. The Lougheads returned the engine to Kirkham, in the unwarranted hope of obtaining a refund, and switched to an 80 hp Curtiss O V-8 engine. Initially they retained the horseshoe-shaped radiator for the Curtiss engine. 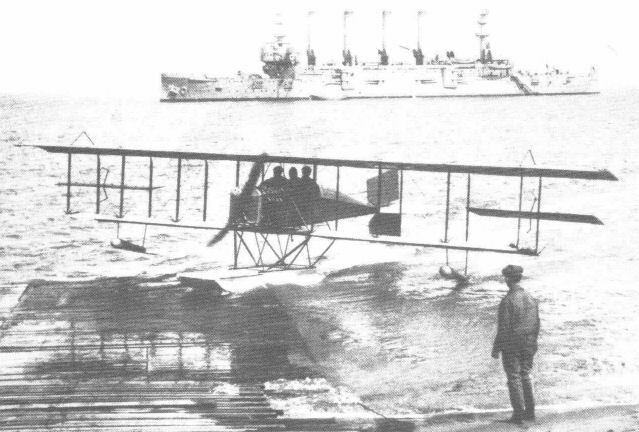 Launched onto San Francisco Bay from the slipway at the foot of Laguna Street, the Model G was flown by Allan Loughead on 15 June, 1913. After a brief flight he alighted to pick up Malcolm and together they flew for twenty minutes, cruising over the shores of the Golden Gate, over Alcatraz Island and back to the beach. A similar flight was made with R. L. Coleman as a passenger, but a fourth flight had to be cut short when stronger winds and choppy waters required prudence. 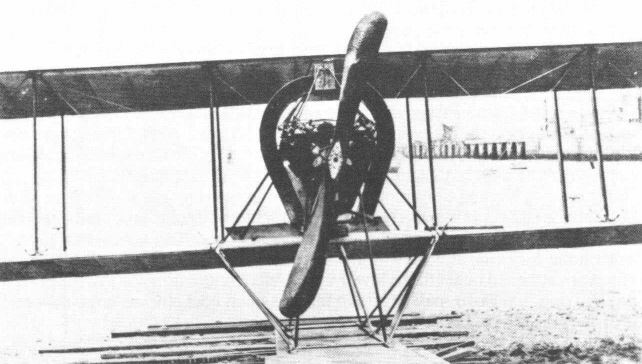 Later during the summer of 1913 the Model G suffered minor damage, including a broken propeller and torn pontoon, when Allan Loughead hit a levee on alighting at San Mateo while taking Ferdinand Theriot on a charter flight. 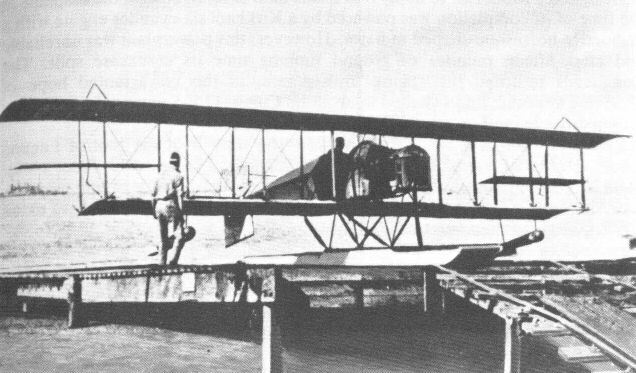 The seaplane was transported back to San Francisco where it was repaired and a conventional frontal radiator replaced the old Kirkham horseshoe unit. However, the Model G then remained in storage for some eighteen months while Malcolm Loughead went on wild adventures to China and Mexico. Seeing in the Panama-Pacific Exposition an opportunity to recoup their investment, the Lougheads, with the help of capital provided by a Mr Meyer, bought the Model G from the other investors of the Alco Hydro-Aeroplane Company. Underbid by Bob Fowler for the passenger-flying concession at the Panama-Pacific Exposition, which opened in San Francisco in February 1915, the Loughead-Meyer partnership took over from Fowler when the latter's aeroplane was destroyed. In fifty days of flying they obtained a $4,000 profit from the $6,000 income realized by carrying 600 passengers on ten-minute joy rides. Upon investing their profit in the Loughead Aircraft Manufacturing Company, which they organized at Santa Barbara with other investors, Allan and Malcolm Loughead had the Model G taken by flat-car to that community down the coast of California. There the Model G continued to earn income for its owners by flying joy rides and charters. It was even used to make the first air crossing of the Santa Barbara Channel, carrying two passengers sixty miles in one hour. Finally, in 1918 the Model G's wooden airframe and fabric covering were showing signs of age and the Lougheads realized a last income from their aircraft by selling its Curtiss engine. Span 46 ft (14,02 m) upper, 36 ft (10,97 m) lower; length 30 ft ( 9,14 m); height 10 ft (3,05 m). Empty weight 1,616 lb (733 kg); loaded weight 2,200 lb (998 kg); fuel capacity 8 US gal (30 litres). Maximum speed 63 mph (101 km/h); cruising speed 51 mph (82 km/h). The Model G at San Francisco. Note the shape of the main float and wingtip floats, location of ailerons between the wings, and cruciform tail. The Model G floatplane taxi-ing back to a slip on San Francisco Bay. The horseshoe-shaped Kirkham radiator as originally fitted to the Model G.